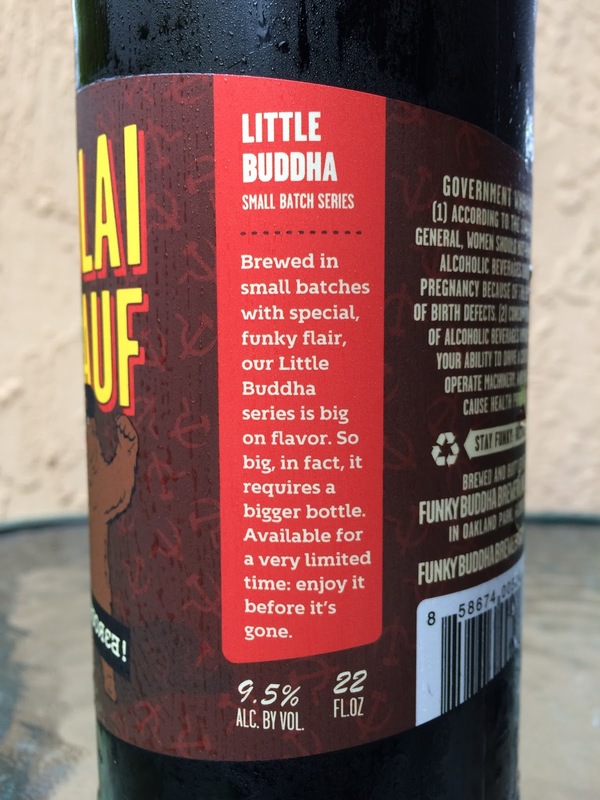 Saw a bomber of Funky Buddha's Nikolai Vorlauf Imperial Russian Stout yesterday, first large format bottle from them that I've seen. This beer is part of the brewery's Little Buddha Small Batch Series, but as the bottle explains, the flavors are just so big that they require a bigger bottle! The label shows a bear with a Russian military style hat on, standing on hind legs and roaring angrily. Comparing the artwork to all the other bottles and labels from the brewery that I've seen and have on a shelf in my office, this is easily the weakest. For a specialty series and having a bigger label to work with, I don't think they took any time whatsoever putting this together. Check out the photo below and I dare you to disagree! There is a story called "An Unbreakable Union of Flavor" which sets your expectations... "...big, bold and strong, like a bear-hugging Russian wrestler." "You'll roar with pleasure." 9.5% alcohol. 45 IBU. Rich chocolate and milky sweet aroma. Big chocolate and cocoa powder flavors come first followed by a huge coffee infusion. Roasty, but not harsh. Sweet, but balanced. More coffee, hints of vanilla and brown sugar. Creamy and silky smooth, just luscious texture. Starts sweet but the hoppy balance is just right. Alcohol is dangerously hidden. 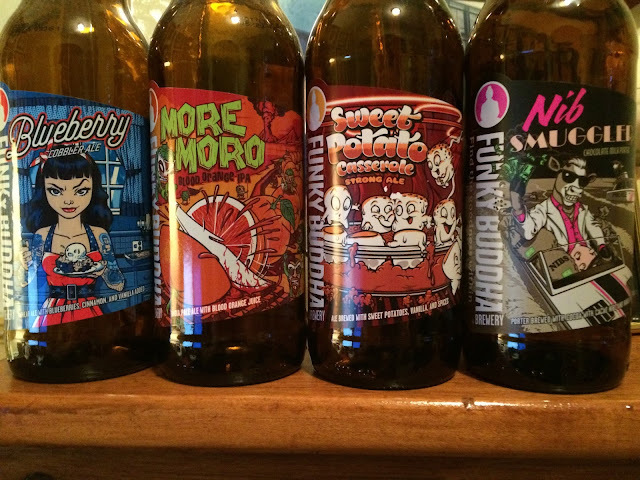 Flavors are excellent and this is very much a treat! I finished the bottle almost warm like 90 minutes after opening it and "Roared with Pleasure!" My wife was like WTF but whatever! Check it out!